Discover the love of quran through quran tagging and reflections. This is a sharing session by ladies for ladies. 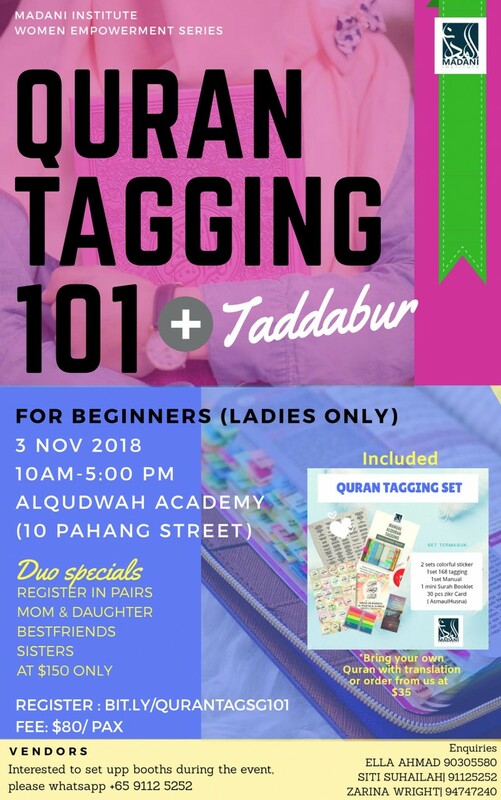 Take time away from the hustle and bustle of life and be amongst the company of wonderful sisters to discover the messages from the almighty. 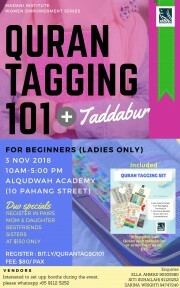 Quran Tagging 101 and taddabur (reflections) is a fun and exciting activity that you can do with the company of your mom, your daughters,your sisters and even your bestfriends.